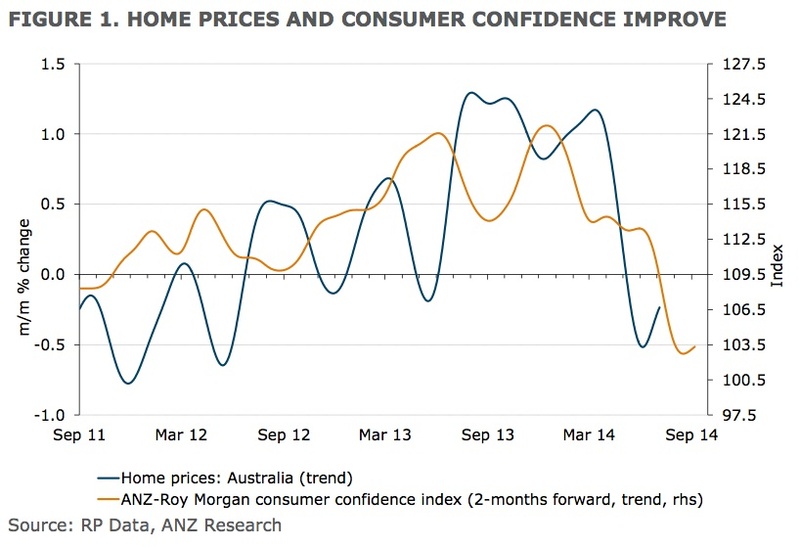 In ANZ Banks’ weekly housing market update they reported that home prices rose in the past week despite the recovery in consumer confidence stalling slightly. In seasonally adjusted terms, home prices rose strongly in Melbourne, while more modest gains were made in both Sydney and Perth. In trend terms, however, Melbourne home prices were largely unchanged for the week, while Sydney home prices edged 0.1% higher. · Auction sales continued to ease last week, with original auction numbers falling in both Melbourne and Sydney. 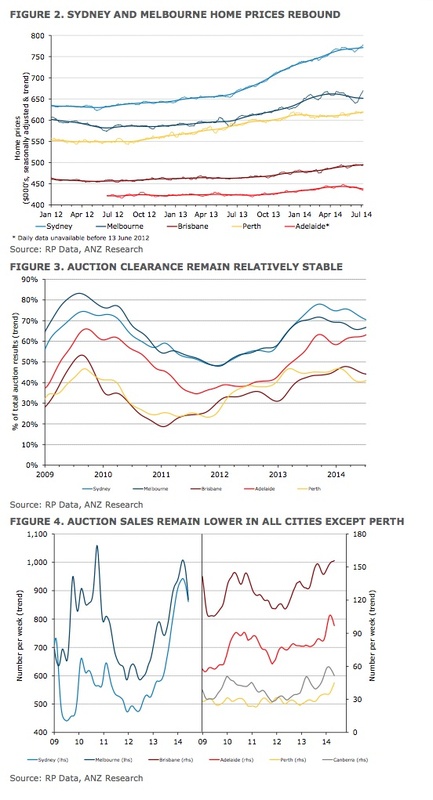 In trend terms, auction sales were higher only in Perth, Brisbane and Canberra, with total auction numbers declining by 3.4% across all Australian capital cities. · Auction clearance rates rose solidly in the past week, with all states except for Canberra experiencing an increase in reported auction results in trend terms. In original terms, Melbourne’s clearance rate cooled slightly, while Sydney’s clearance rate reached a 12-week high of 74.6%.